Waiting time is kept to a minimum with a first page-out time of less than 7 seconds and fast print speed of up to 30 ppm. Together with a monthly duty cycle of up to 30,000* pages and a high standard memory of up to 256MB, printing performance is always assuredly efficient and reliable. The AL-MX200DNF is more affordable to own, featuring built-in duplex functionality for double-sided printing to cut down on paper wastage. Ideal for the budget conscious office users, they also include double pack toner cartridges to reduce cost per page. Enjoy more savings without any hidden maintenance costs, as toner cartridges are the only consumable to maintain. The AL-MX200DNF comes with convenient multifunctional features for better productivity in your home or office. 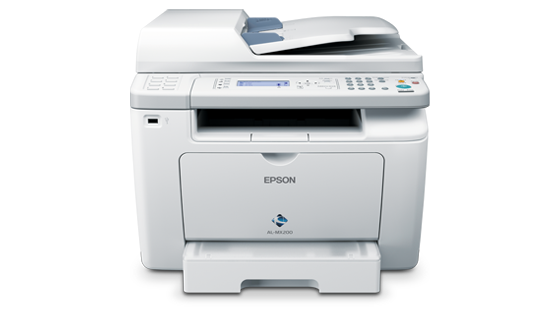 This includes direct printing from and scanning to USB devices, email, PC and networked folders and a 50-sheet Automatic Document Feeder (ADF) for more efficient copying, scanning and faxing. Faxing is a breeze with features such as auto redials, one-touch dials (8 keys), PC Fax (send only), fax forward settings and auto receive mode. With the large 8MB fax storage memory, incoming fax not printed due to paper out or ink depletion can be stored for printing. Control and monitor print jobs is a breeze with the built-in LCD panel, while maintenance is kept clean and quick with an easily replaceable toner cartridge. The AL-MX200DNF supports direct printing from your USB devices without a PC, and also saving your scanned documents directly to your USB devices, networked folders, email or PC. The AL-MX200DNF are compactly designed with small footprints to take up less space. Storage space is also reduced with toner cartridges much smaller than conventional toner cartridges.